Bolivia is one of the cheapest countries to tour and travel so how can you possibly blow your budget in such an inexpensive country? Even if you plan to travel comfortably, enjoy yourself fully, and contribute to the local economy, I’m willing to bet most travelers could cut their budget in HALF. 1. Don’t do enough research on flights. Your flight to Bolivia will be the most expensive part of your trip. Not researching the over 30 airlines that fly into Bolivia and the 50 or so others that fly into nearby neighboring countries is a big mistake. You can save hundreds of dollars by taking flights that require several stops rather than non-stop and in some cases by taking airlines into Chile, Argentina or Peru and a bus or train into Bolivia, if time allows. 2. Bring too little or too much luggage. Not researching our climate can mean you might end up purchasing things you already have at home and could bring with you such as jackets, hats and gloves. On the other hand, bringing things you probably won’t need (or won’t be able to use) like too much clothing, too many appliances (hair dryers, curling irons, shavers, cellphones that won’t work here) can add to your budget either at the airline counter (overweight luggage) or when you have to pay someone else to cart your luggage around while you’re here (taxi drivers, kids and bellhops at hotels and airports), or pay to store your luggage while you're on shorter legs of your trip. 3. Use credit cards and travelers checks and don’t bring enough cash. The surest way to waste money is to use credit cards. First of all, you’ll pay an extra 3% to use them anywhere you go. Secondly, many places don’t accept them. Travelers checks are also exchanged (for an extra cost) in just a few places. Running out of money is another problem. If you have to have someone send you money via Western Union you’ll blow a big wad of cash! 4. Ignore great small hotels and hostels because they sound “unknown”. 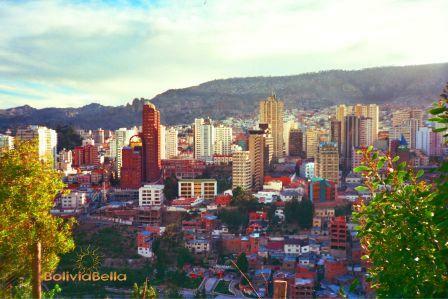 There are many small hotels and hostels that are clean, comfortable and provide good service in Bolivia. You don’t need to stay at a big expensive hotel. I'm not suggesting you put up with cockroaches, but unless you're planning on spending a lot of time in bed or watching TV, how often will you really be in your room anyway? One of the best ways to find a cheap but good hotel is to get a personal recommendations so I strongly encourage you to visit the travel forums and hotel review (and pay it forward - leave your opinions for someone else to benefit from if you've already traveled Bolivia). 5. Pay way too much for food. While you should always take precautions to ensure you don’t get sick, skip restaurants that don’t look clean, but don’t always dine out at the most expensive restaurants. Choose restaurants that look great but are NOT necessarily in your travel guide. Most restaurants that are frequented by tourists adjust their menu prices for tourists. Locals who choose to dine there do so knowing this. In addition, many travelers don't try the local food!! Did you know that in Bolivia fast-food places like Burger King and Subway are a luxury and among the more EXPENSIVE options by local standards? Wanna know a secret? You can get a perfect 360º view and the best photos of the whole entire city while you munch on a picnic sandwich (you made) at the top of Laikakota Park in La Paz, or do the same while you play a lively game of chess with the funnest local old guys in Santa Cruz' central plaza during the siesta hour. In supermarkets and stores that have price tickets on their items you cannot bargain the price down. But in most open markets it’s a mistake not to. Vendors automatically increase the price as soon as they see you are foreign and EXPECT your first reaction to be a request for a price break. See my page on learning how to bargain prices down. Bolivia’s open markets sell EVERYTHING. Skip meats and cheeses, (they’re never refrigerated) and unbottled water and juices, but purchase fruit, vegetables, bread, butter, cookies and snacks, sodas, and more. Almost anything you find in a supermarket you can find here. You can also get sunglasses, hats and clothing, mosquito repellent, batteries, toiletries and many other things that are sold in supermarkets nearby for up to twice as much. 8. Develop your photos in Bolivia. Developing your film here is a mistake. If you have a digital camera, that’s a much better choice. However, if you have a camera that needs frequent recharging and you may not be in an area where you can do that, you should consider bringing a camera that uses film. But don’t develop your photos here unless you need to. It costs more than developing in the US and is probably more expensive than Europe too (you tell me). 9. Go to tourist trap shops. Bolivia’s markets don’t just sell food. Skip the expensive tourist trap souvenir shops. Even souvenir areas that look like open markets can be way more expensive than they should be because they cater only to tourists. If you only see souvenirs and nothing else, it’s a tourist haven. Go to the open markets, buy from individual vendors who offer their products on the street, and you can get the same souvenirs at much lower prices. And be sure to BARGAIN (they will be surprised if you DON’T). You'll be truly contributing to the most needy sector of our local economy if you do. Speaking of which, did you know that in 2008 Bolivia was named the Number 2 Most Popular Destination for Ethical Tourism in the World? 10. Ignore cool free sites or attractions not in travel guides. Stay on the tourist path 100% of the time and you’ll waste a lot of money (and miss some really nice places to visit). Did you know most museums and art galleries in Bolivia don’t charge an entry fee? Have you checked out our hundreds of great local parks and plazas for super people watching and photo opportunities? Have you asked the LOCALS what's great to see? 11. Pay too much for taxis, don’t take public transportation, don’t walk anywhere. Many hotels have resident taxi services. Don’t use them if you can avoid it. They charge 2-3 times what a normal taxi costs. Instead, call a taxi from your room (radiomóvil – there are THOUSANDS of them) and have them pick you up. Want an example? The taxis at some 4 and 5-star hotels in Santa Cruz which shall remain nameless charge Bs. 20-25 to take you about 10 blocks to the downtown plaza. Call a radiomóvil to pick you up and pay Bs.10 for the same route. No kidding! 12. Bring the wrong appliances, electronics and accessories. Bolivia is strange, electrically speaking. In most of Western Bolivia electricity is 110V and in most of Eastern Bolivia it is 220V. You either have to bring adapters/transformers or be sure you bring the correct appliances for the region you will be traveling. 13. Don’t research proper documentation. Americans need a tourist visa to enter Bolivia along with a yellow fever card and several other documents. Tourists from other countries have different requirements but all are required something to enter. Having all the correct documents before you arrive will be a true blessing to your wallet. Getting them here can cost you more, waste your time, and potential end up getting you sent home if you don’t have the documentation you need. 14. Don’t leave copies of your documentation and credit cards at home. Losing or getting your documents stolen can be a truly horrifying experience. Not having copies of them only makes it worse. Leave photocopies of your passport, medical records, airline ticket, credit cards and other important documents you carry in your wallet at home (and bring an extra photocopy with you). If you need to process new ones at your consulate, this will make it much easier and faster and usually less costly. 15. Don’t spend enough on your tour. Huh? Well, believe it or not if you don’t properly research your tour operator, your cheap tour with a cruddy tour operator who doesn’t live up to your expectations and doesn’t deliver what was promised can end up costing you more in dissatisfaction than a tour that was a bit more costly to begin with but delivered on its promises. You’ll end up feeling cheated and like you wasted your money, and you'll probably badmouth Bolivia to everyone you know. Let's avoid that. 16. Don’t invest in travel insurance. Nobody wants to get sick while traveling, lose luggage or documentation, have an emergency or accident, or have something stolen from them while traveling. But it does happen. Are these things EVER predictable anywhere? Demand your tour operator guarantee your safety! Is it safe where you are going? Get the latest professional travel advice on hundreds of destinations. Travel safely with World NomadsGet the latest travel safety tips and advice from our partner, WorldNomads.com to help keep you travelling safely. 17. Make way-too-expensive overseas calls. There are many cheap or even free ways to communicate with people “back home” while you’re on your trip. Bolivia has an uncanny number of super cheap internet cafés that cost about 60 cents of a dollar per hour (Bs. 3-5). Set up programs like Skype, Google Hangouts, or Facebook Videochat (all free) on your computer back home and use them while you’re traveling. In addition, if you research the best phone cards and/or cellphone rental or purchase options, and you can cut your budget way down. Most phone providers also have cellphone Apps now too. Free international texting is also widely available now. The most popular app used by Bolivians is Whatsapp, for example. 18. Bring your own cellphone. Check before you travel if your cellular phone will work in Bolivia. Most of South America uses a completely different grid and type of calling system and many many many cellphones from many many many countries DON’T WORK HERE AT ALL. So investing in a rental cellphone or purchasing an international travel phone can actually save you money. 19. Don’t venture out enough on your own. Some tours are hazardous or just plain too remote to take on your own (cycling Death Road, Uyuni, most of our amazing National Parks) but you don’t need a guide everywhere you go. With a little self-assurance there are tons of places you can visit without the need for guides, translators and tour operators. 20. Don’t research the laws regarding traveling with kids and pets. If you travel with minors you must have special permissions and documentation, especially if only one parent is traveling with a child. Many a foreigner has been sent back home for not having a permission document from the other parent. Not having the appropriate documentation for your pet can result in expensive quarantine costs. 21. Don’t research our holidays. One of the best ways to lose money while traveling is to arrive during national or regional holidays to find everything closed. While you might enjoy the festivities, you might not find a place to stay, banks or exchange houses may be closed, and you could end up either spending to travel somewhere else or paying for the only hotels available (the most expensive ones are the last to have vacancies). 22. Don’t brush up on your Spanish. Investing in a few Spanish lessons, a good Spanish travel phrasebook, or getting FREE Spanish phrases for your iPod or other accessory can save you money in the longrun. How? You can potentially avoid paying for a translator (most tour guides do NOT speak English or other languages). FURTHERMORE you can avoid feeling cheated in markets and stores or anywhere else you pay for anything if vendors see you know just enough Spanish to get by. If they assume you've been here a while they're more likely to expect you to bargain. 23. Inadvertently (or purposely) break the law. One way to get into MAJOR financial trouble is to commit a crime. Taking a prison tour to purchase cocaine is a huge no-no. Buying illicit drugs or purchasing drugs or alcohol for yourself or anyone else anywhere is a crime. Getting in arguments or fights, participating in political rallies or demonstrations, being rude to police officers, trespassing on private property, disorderly conduct, attempting to cross roadblocks, injuring someone else while driving, or even if you are defending yourself from a thief, can all end you up in jail. Even if you are declared innocent and everything is cleared up eventually, it can take lots of time and money to get you out of your predicament. See what Bolivia’s prisons are really like! When you travel, carry your money in several different places at a time (some in your purse, some in each pocket, etc.) so you don’t have to take the whole wad out when you need to pay for something. Not only will this make you appear presumptuous, cause your vendor to feel cheated if you just bargained a price down, and make Bolivia’s poor feel horrible in general, it’s a sure way to be sure people will immediately increase their prices when you ask what the cost of something is. When you exchange your currency ask for small bills (Bs. 10 or 20 rather than 50 or 100). It will make getting change easier and save you money in the long run as you won’t be perceived as “the tourist with the big wads of cash for whom we should increase our prices”. Not only will this automatically send out the message that you are a tourist and should be charged more for stuff, it’s also dangerous. No matter where you are or where you go, even if you ARE lost, walk with purpose, stick to well-lighted areas. Only ask for directions from police officers, store owners, restaurants, or other establishments. Look like you’re lost and you may become a target for thieves and others who may purposely misguide you and you could end up having to replace your belongings. Look like you know where you’re going and you most likely will discourage their activities. 26. Carry huge expensive cameras in full sight. Nothing screams “Tourist Coming!! !” more than your camera – and actually this goes for just about any camera. Bolivia’s vendors are master tourist spotters. They can see you coming from miles away and the message rapidly spreads that you’re in the neighborhood. Vendors busily rearrange their products (with the most expensive on top or even hide cheap ones), and before you’ve arrived, they’ve already talked among themselves and settled on the higher prices they will ALL simultaneously offer you. Carry all types of cameras in a camera bag, take your camera out when you need to take your photo, put it back in the bag when you’re done, and you’ll save a lot of money. 27. Don't set aside any money for emergencies. It's awful to get sick, have an accident, lose your belongings, or suffer a loss by robbery while you're traveling. Blowing all your money at the beginning of your trip is not only unwise, it's dangerous. You could end up needing to visit a clinic and having no money. Furthermore, having someone wire you money will add to the expense. In addition, making a lot of purchases at the beginning of your trip just means you'll have to cart them around with you (or pay to store them) while you continue traveling. 28. The surest way to pay way more than you should for just about everything. a) Wear geeky tourist clothes (the Andean knit hats that don’t really look cool on anyone and nobody but tourists wear, the huge hiking boots even when you’re walking around the city, the alpaca sweaters only tourists can afford, the jeans that are so unwashed they could stand on their own, you get the picture). b) Wear clothing that is inappropriate for an event or occasion. Nobody expects you to dress up when touring. But at restaurants, bars and clubs you may even find some don’t allow you to enter if you’re wearing inappropriate clothing (for example, some don’t let you in with torn or cut-off shorts, others don’t allow sneakers). c) Speak a foreign language all the time, don’t make any attempt to use Spanish, and talk really loudly. Most Bolivians are fairly soft-spoken and speak quietly amongst themselves in public places, buses, restaurants, etc. You will never NOT look like a tourist. Everyone will always know a tourist from a local. But if you want to save money, tone it down! So enjoy your trip, buy the souvenirs you want, delight in our delicious Bolivian food, and take all the tours you dreamed of – you still don’t have to overspend for no reason! Do you really want to spend your whole travel budget just for fun? Save all you can throughout your trip and on your last day splurge on something really unique and amazing you’ll take pleasure in forever. Like a really great piece of original Bolivian artwork, a super hammock you can laze on for years, top quality alpaca or leather goods from a haute couture Bolivian designer, or Bolivianita jewelry you can’t get anywhere else!